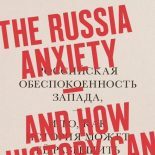 Most enjoyable Russia book of the year? History: a guide to Russia’s 2015? Is Vladimir Putin a conservative?